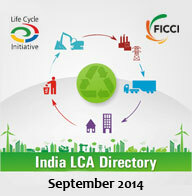 India LCA Directory is a first-of-its-kind initiative in India to compile the Life Cycle Assessment/Management (LCA/M) work being done by academia, researchers and companies in the country. The overall objective of the Directory is to provide a general idea on the work being done in India on LCA/M and how the companies are striving to create a sustainable value chain. The study includes a primary survey as well as secondary research on the waste management scenario, policy framework and scientific research papers. This survey focuses on emerging and established businesses that use innovative technology, challenge the existing business models and have a global outlook. 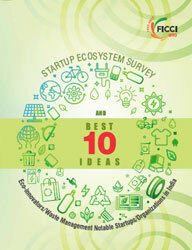 Of the applications received, the best 10 innovative approaches to resource use optimization and waste management were selected to do a detailed analysis with the relevant information and are titled as "Best Eco Innovator Start-up/Waste Management Organization". ©ILCM 2015. All rights reserved.